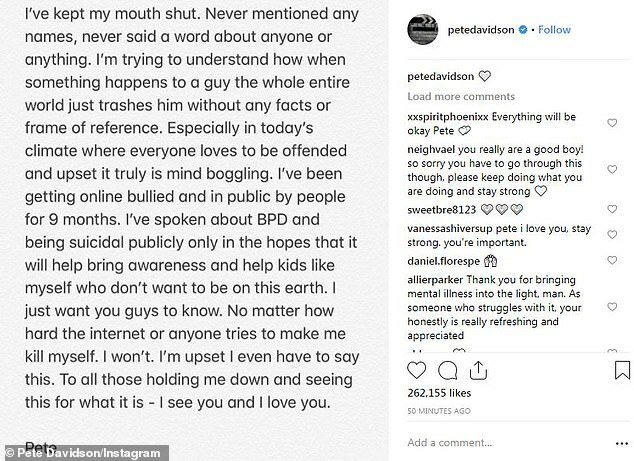 Pete Davidson has opened up about being bullied after his very messy, and very public breakup with Ariana Grande. The comedian wrote a heart-wrenching post on Instagram, about his battles with mental health and how he has been affected by trolls who have targeted him both online and in public. 'I'm trying to understand how when something happens to a guy the whole entire world just trashes him without any facts or frame of reference,' he wrote on Monday, just two months after he and ex-fiance broke up. 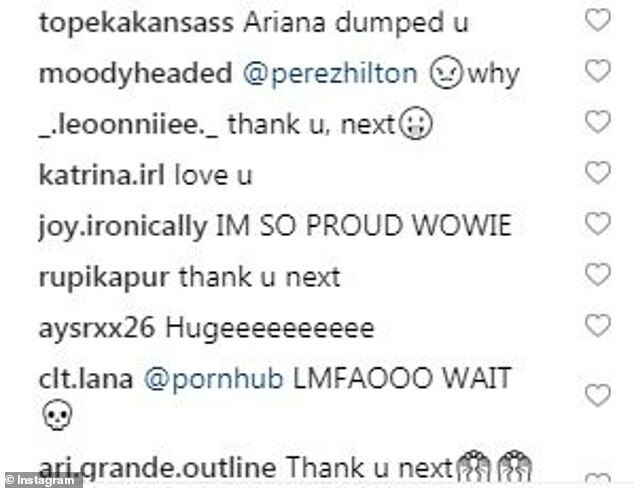 She has since released a record-breaking break-up track, Thank U Next, which references Pete and her other exes. The SNL star complained that, while he had 'kept my mouth shut. Never mentioned any named, never said a work about anyone or anything,' he was still being trashed online. 'I've been getting bullied online and in public for 9 months. I've spoken about BPD and being suicidal publicly only in hopes that it will help bring awareness and help kids like myself who don't want to be on this earth,' he wrote. 'I just want you guys to know. No matter how hard the internet or anyone tries to make me kill myself. I won't, I'm upset I even have to say this,' he concluded in his Monday post. 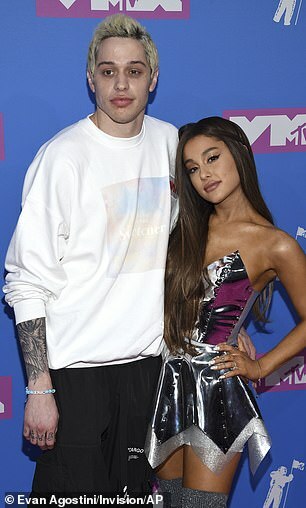 Davidson has had a rough year after his quick engagement and fast split from singer Ariana Grande. The pair became engaged sometime between May and June. By October- they had ended their engagement. Despite his assertions he 'kept his mouth shut', he did, in fact, make jokes about the end of the relationship on SNL. 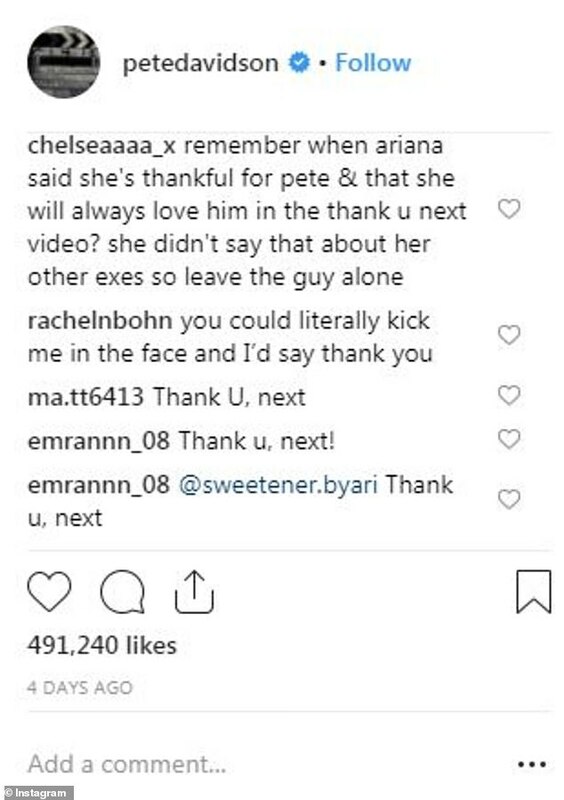 The singer then penned a song titled 'Thank You, Next' about her past relationships. 'Thought I'd end up with Sean/ But he wasn't a match/ Wrote some songs about Ricky/ Now I listen and laugh/ Even almost got married/ And for Pete, I'm so thankful/ Wish I could say, "Thank you" to Malcolm/ 'Cause he was an angel' is the opening line in the 'Thank You, Next' lead single to her fifth album. 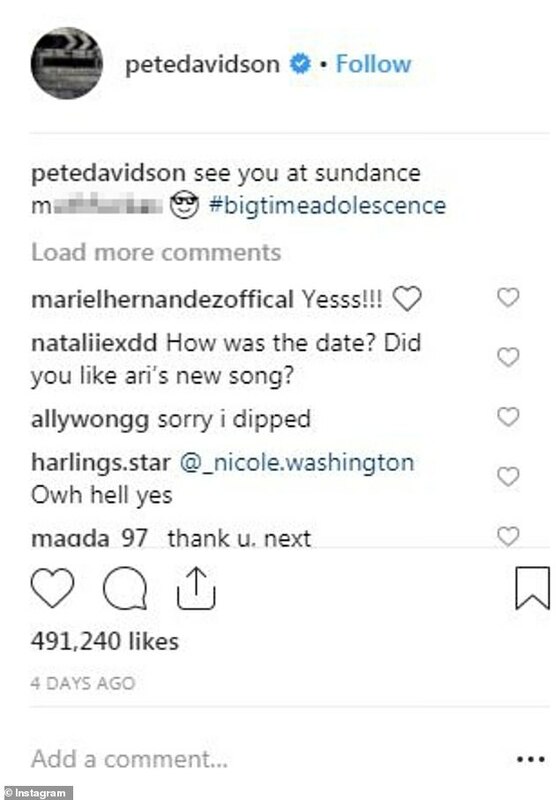 His emotional post comes just one day after it was revealed Grande had covered up her Pete inspired tattoo. Back in 2016 Pete admitted himself into rehab for marijuana use. He said he stayed sober for three months but was miserable and ultimately returned to using marijuana, but with more caution.